This extraordinary scarf proves that beauty and eco can perfectly go hand in hand. 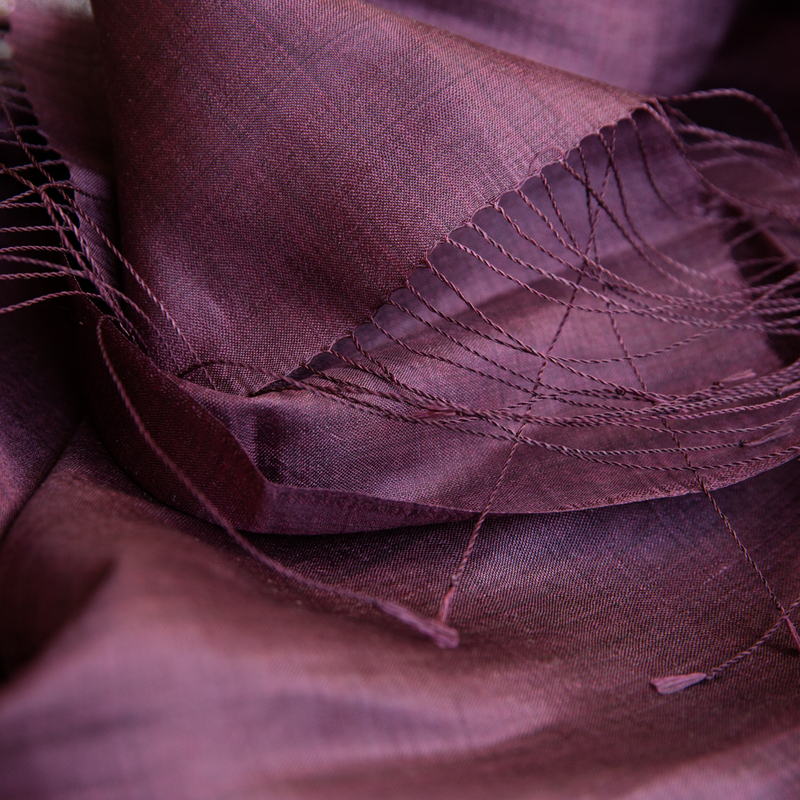 This naturally dyed piece is made from rare certified organic Lao silk. Its colour is created from lac resin and mulberries. 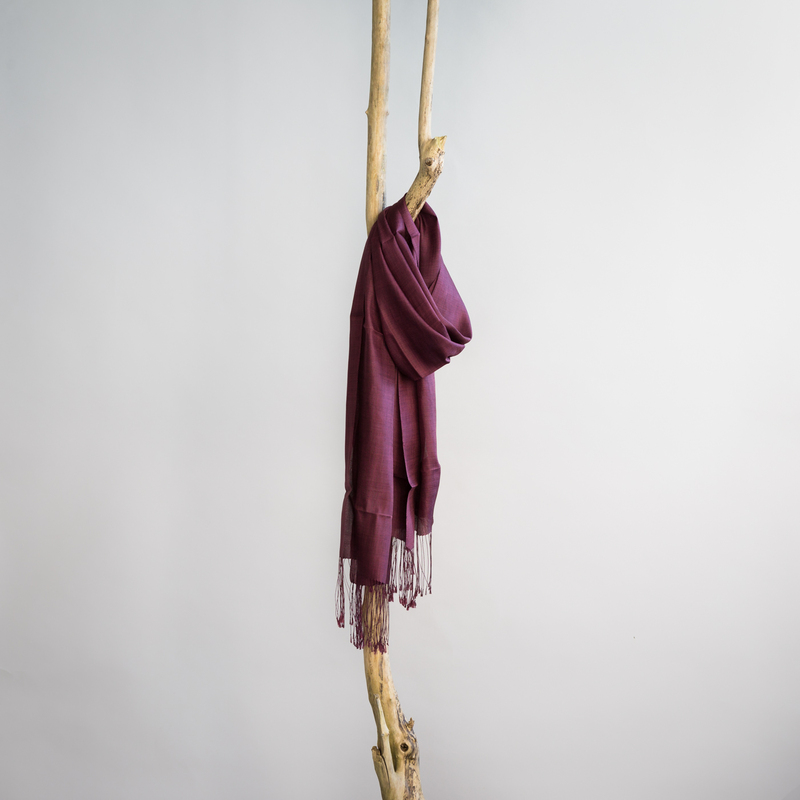 The scarf is handcrafted by women from Mulberries, a Fair Trade organisation in the Northeast of Laos.